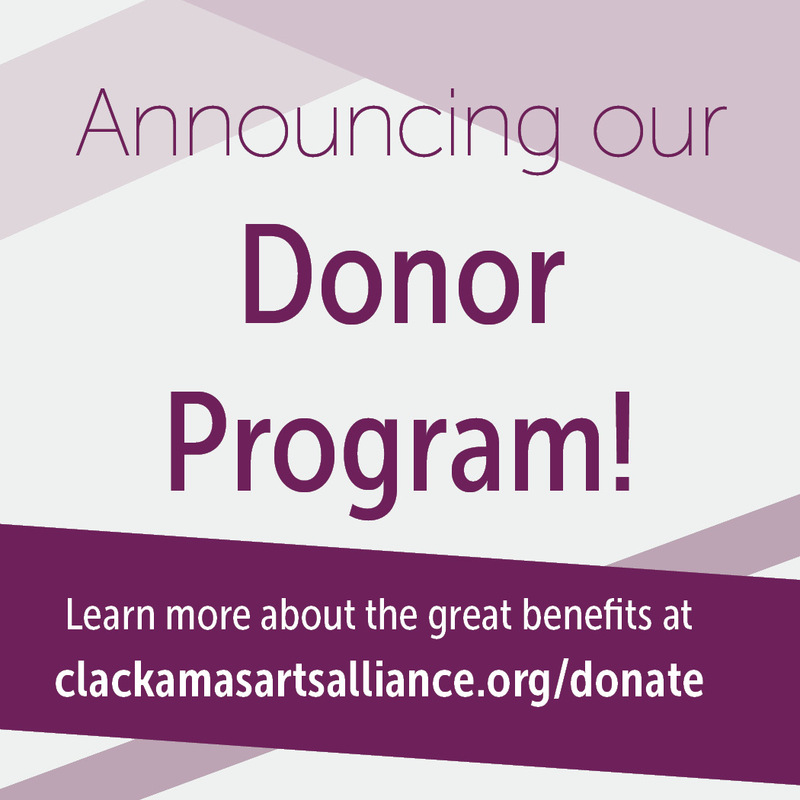 To mark 25 years of keeping arts and culture central to life in Clackamas County, we are announcing our new donor program! As a 501(c)3 nonprofit, we depend on the support of donors like you. Become an annual donor and enjoy the benefits. Early-bird notice and advance sign-up of public events, lectures, workshops, and artist demos before they sell out. Get a 25% discount on your collage a bird at our next workshop with artist Susan Schenk on Thursday, May 9, 6-8 pm. Register now and make your annual donation with your ticket! Invitations to donors-only exhibit receptions held twice annually. The next reception is a pop-up exhibit at Ainsworth House with a selection of our Artist Exhibit Program artists on May 30 from 5 – 7 pm. 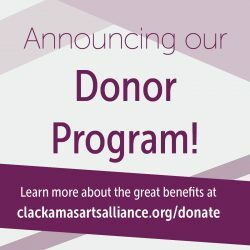 Discount on submission fees for annual Clackamas County artist and poets calendar, envelope gallery notecard competition, and donors exhibition. Exclusive thank you event at King’s Raven Winery on Friday, September 20, 6 – 9 pm. I read this article and found it very interesting, thought it might be something for you. The article is called Special Announcement! 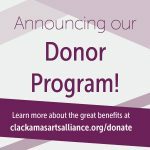 and is located at https://clackamasartsalliance.org/news/arts-alliance-news/membership-program/.